It doesn’t hurt to keep tabs on what competition is doing. Hurricane Sandy may have spoiled Google’s media event planned for today, but that didn’t stop the search giant from launching two new Nexus devices today along an Android software update. The company announced a new four-inch Nexus smartphone, made by LG, that provides pure Android experience free of carrier junkware and user interface skins. 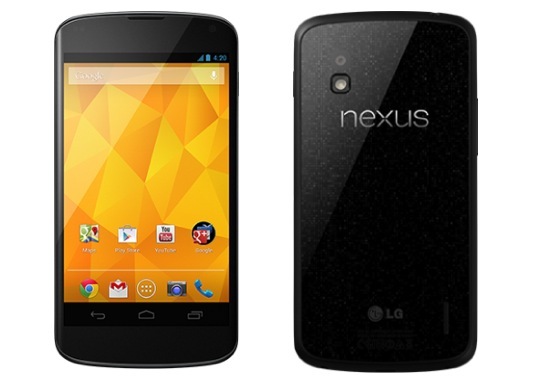 Replacing the Galaxy Nexus made by Samsung, the Nexus 4 is Google’s new flagship handset providing so-called stock Android experience. The device is 9.1mm thin – one and a half millimeter thicker than the iPhone 5. It’s also wider and taller than the iPhone 5, coming in at 68.77mm x 133.9mm versus 58.6mm x 123.8 mm for Apple’s phone. A 2,100 mAh battery is rated at ten hours of talk-time, which isn’t too shabby at all. Driven by a quad-core Snapdragon S4 Pro processor by Qualcomm with 2GB of RAM, the phone has 4.7-inch IPS display with a 16:10 ratio. It maxes out at 1280-by-768 pixels at 320 pixels-per-inch, enough to earn Apple’s Retina moniker. The display might be a bit of a downer to Galaxy Nexus owners who’ve grown accustomed to its bright Super AMOLED HD screen at 1,280-by-800 pixels. The back camera is of an eight-megapixel variety that comes with LED flash and shoots video in 1080p. Out the front, the Nexus 4 sports a rather paltry 1.3-megapixel module for video conferencing. Both cameras boost low-light performance compared to the Galaxy Nexus. 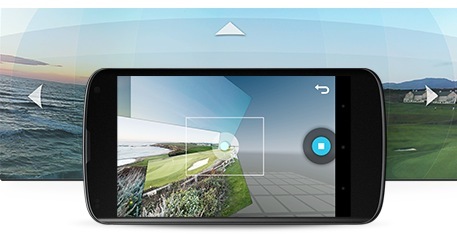 Other perks include wireless charging and the new camera experience which thanks to the updated Jelly Bean software offers a new Photo Sphere feature, basically a panorama mode that lets you capture 360-degree images that can be easily shared with your Google+ contacts, via Google Maps and elsewhere. Unlike Apple’s panorama mode in iOS 6 which requires a steady hand, Photo Sphere takes cues from Street View in Google Maps in that you can move in every direction, including up and down. Here is a video of Photo Sphere in action. According to Google’s Hugo Barra, Photo Spheres are stored as JPEG files, with all of the information required to view them embedded as open XML metadata in the image itself. The biggest feature of the Nexus 4? 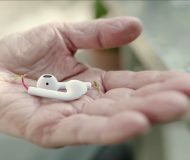 Its affordable $299 price point – and that’s for a contract-free version with eight gigabytes of internal storage (the sixteen-gigabyte model is a $349 value). 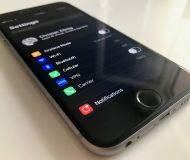 However, the phone represents a step back in terms of network connectivity: even though it supports NFC and the latest flavors of Wi-Fi (dual-channel 802.11 a/b/g/n on 2.5GHz and 5GHz bands) and Bluetooth (version 4.0 LE), it falls behind in the cellular network department as it doesn’t support 4G LTE networks at all. The Verge explains that after figuring it would have to customize 4G LTE for 77 markets in the United States alone, Google’s mobile head Andy Rubin decided to support 3G up to carrier-dependent HSPA+ because it comes with the least headache. “Tactically, we want to make sure the devices are available for every network on the planet”, Rubin acknowledged. Not everyone buys this explanation, mind you. 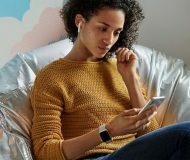 Be that as it may, the Google Play store will carry the device beginning November 13 in the United States, United Kingdom, Australia, France, Germany, Spain and Canada, priced at $299/$349 for the 8GB/16GB contract-free version. 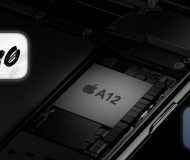 T-Mobile will land the 16GB version the following day. 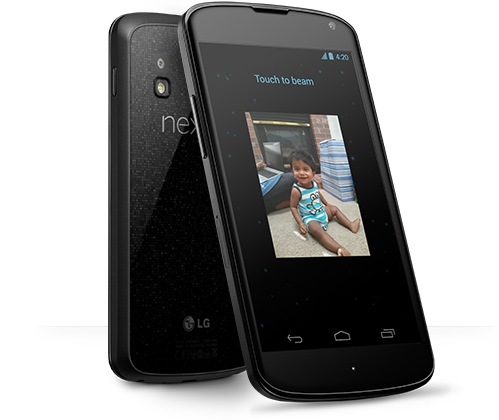 Paired with a qualifying T-Mobile Value voice and data plan and two-year service agreement, the 16GB Nexus 4 will set you back $199.99 with 20 equal monthly payments of $20 per month via T-Mobile’s Equipment Installment Plan (EIP). The Value plan paired with EIP is offered at T-Mobile retail stores. Check out this media release for more on this and other Android devices launching on the T-Mobile network. 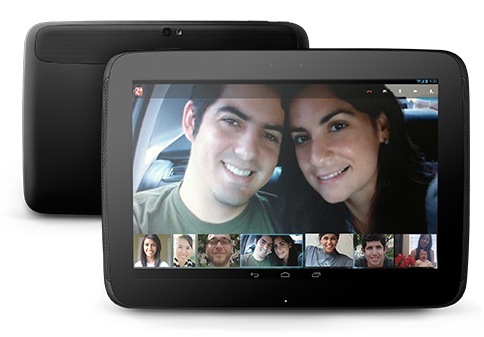 Google has also sweetened the deal on its popular seven-inch Nexus tablet. Gone is the entry-level version with just eight gigabytes of storage. In place of it, Google now sells the 16GB Nexus 7 for $199 and the new 32GB option for $249. 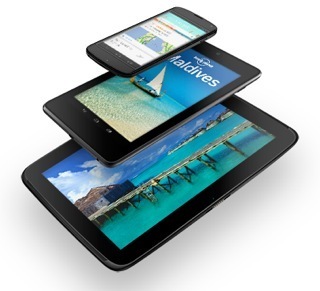 The Nexus tablet originally arrived as a Wi-Fi-only play. Google rectified that, too, with the introduction of a Wi-Fi + cellular version which supports 3G HSPA+ networking and has 32 gigabytes of storage. It arrives November 13 to the Google Play store in the US, UK, Australia, France, Germany, Spain and Canada and will sell for $299, unlocked and with mobile data, matching the price of Amazon’s 8.9-inch Kindle HD and coming in a $30 cheaper than Apple’s iPad mini. 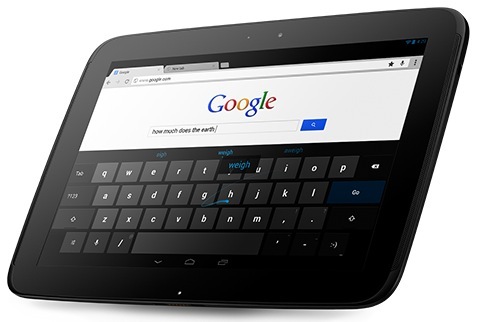 There’s also a new ten-inch Nexus tablet, made by Samsung and called – you guessed right – the Nexus 10. This iPad contender has a ten-inch 16:9 display protected by Corning’s Gorilla Glass 2 and sporting a stunning 2,560-by-1,600 pixel resolution at 330ppi. For those that count, that’s ‘s over four million pixels and basically the same resolution as the recently introduced 13-inch MacBook Pro with the Retina display. Google claims its 9000mAh battery will get you up to nine hours of HD video playback and more than 500 hours of standby time. 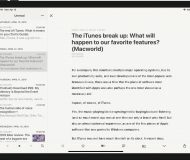 The Verge states that the display on the Nexus 10 is “on par with the iPad’s Retina display, with sharp text, excellent color fidelity, and great viewing angles”, which shouldn’t be too surprising knowing Samsung originally supplied early batches of Retina panels for the iPad 3. The tablet runs Samsung’s 1.7GHz dual-core Cortex A15-based Exynos 5250 chip with 2GB of RAM. 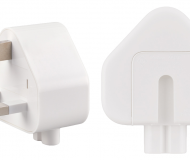 On the connectivity front, the Nexus 10 supports NFC, Bluetooth 4.0 and Wi-Fi 802.11 b/g/n (MIMO+HT40). 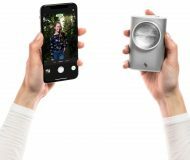 Imaging capabilities include a five-megapixel camera on the back and a 1.9-megapixel on the front for taking pictures, video conferencing and what not. 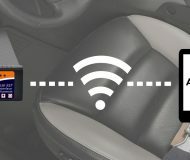 Other hardware features include dual speakers on the front, microphone, GPS, and five sensors: accelerometer, compass, ambient light, gyroscope and – wait for this – barometer. The device arrives on November 13 and will retail for $399/$499 for the 16GB/32GB version over at Google’s Play Store in the US, UK, Australia, France, Germany, Spain, Canada and Japan. In case you’ve been wondering, that’s a $100 less than the full-sized iPad. You’ll also be able to purchase the 32GB version in over 2,000 Walmart stores in the US. 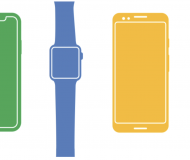 Both new Nexus devices are highlighted in this nice clip by Google. As for Android 4.2 Jelly Bean, it comes with a few interesting new features that advance the experience. 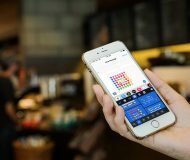 In addition to the aforementioned Photo Sphere mode, the new software brings an updated version of Google Now and a new soft keyboard with Gesture Typing – just gradually slide your finger along a word and Jelly Bean will do its best to figure out the word on your mind. Google Now integrates with Gmail and features improved cards for flights, restaurants, hotels, events and packages, including those for nearby attractions, interesting photo spots, movies times at nearby theaters or concerts by your favorite artists. Wireless media sharing technology Miracast is supported out-of-the-box, even if sub-$99 Miracast boxes and HD TV sets with built-in Miracast are yet to hit the market. 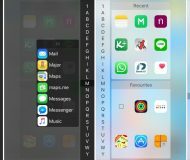 The biggest new feature – and Apple should learn from Google here – is support for multi-user profiles. 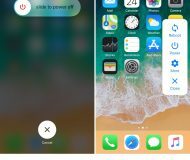 This way, each family member can enjoy their own personalized experience private to them and switch between accounts instantly right from the lockscreen. 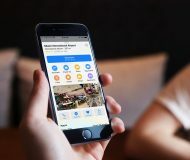 For example, a Dad can log in to the device with his credentials and all of the settings, wallpapers, app data and other important preferences will be pulled from his profile – updated and kept separate of other profiles on the device. Other Jelly Bean improvements include lock screen tweaks, expandable notifications and enhanced widget support. 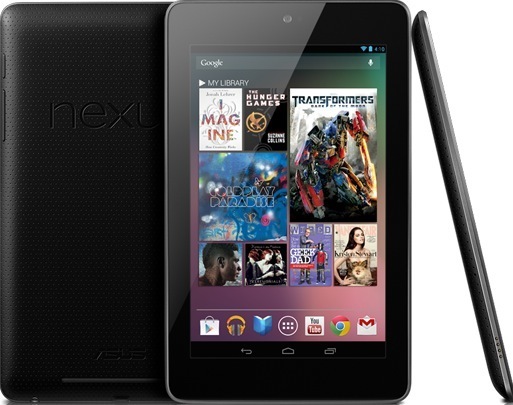 Google did not say when we could expect an Android 4.2 software update for the Nexus 7. 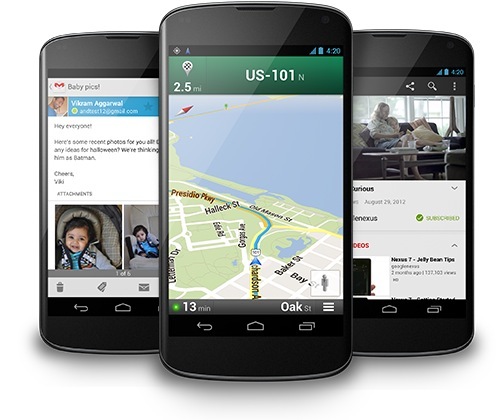 To learn more about Android 4.2 Jelly Bean, check out Google’s dedicated web page. On the digital entertainment front, Google has cut a deal with Warner Music Group to bring their music to the Play Store and is working with Time, Inc. to bring magazines like InStyle, People, Time and others. 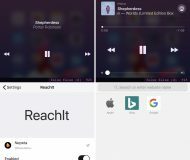 Rounding up today’s slew of announcements from Google is the upcoming European roll-out of music on the Google Play store. Beginning November 13, user in the UK, France, Germany, Italy and Spain will be able to purchase music from Google Play and add up to 20,000 songs from their existing collection to the cloud for free streaming to Android devices. And like Apple, Google now scan-and-matches your library so you don’t have to upload whole songs to the cloud. This scan-and-match ability will be available in Europe at launch 13 and is coming to the US soon after. “This will all be for free—free storage of your music, free matching, free syncing across your devices and free listening”, Google underscores. Oh, and movie purchasing is coming to more countries – specifically, Canada, the UK, France, Spain and Australia. Last but not the least, Google has also updated its Google Search app for Android 4.1 Jelly Bean users with new Google Now features.